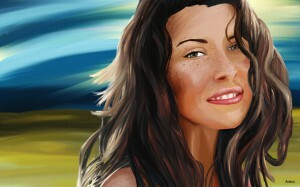 This is a digital painting of Evangeline Lilly, made with Painter. From a picture, it took around 16 hours to do. Illustration from André Tremblay – Antxx. This entry was posted in Digital Painting.